Back on the Market. Buyer's financing fell through. 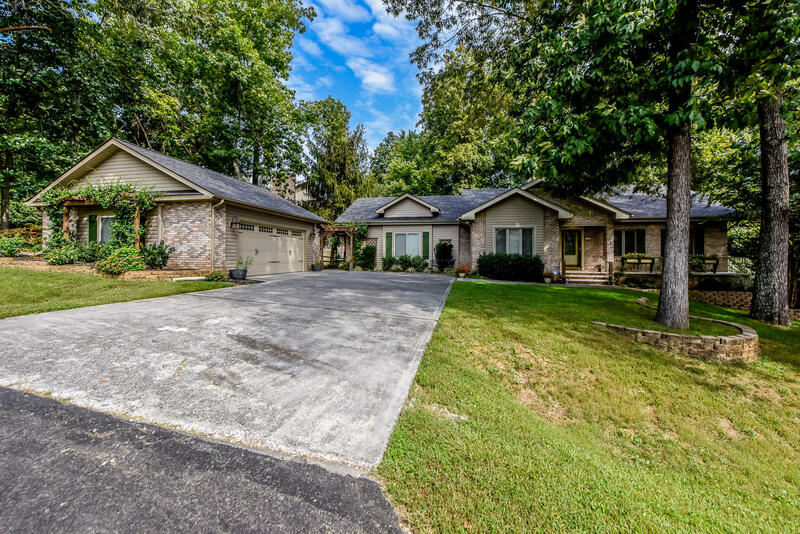 One level living just steps from Tellico Lake in much sought after Tellico Village Community. This home features 4 bedrooms (Two Masters), 3 baths, Living Room, and Bonus Room. A large window-filled sunroom has been added overlooking a wooded park-like setting in the back. The new spacious deck with pergola and stone fire pit and patio offer great outdoor spaces for entertaining. A 24 X 24 garage has been added with plenty of room for your vehicles, storage, and workshop. Enjoy lake views from the front porch and office. Homeowners have also added new insulation into the attic, backyard fence, radon mitigation system, new hot water heater in 2018, new HVAC in 2013 and a new roof in 2013. Continued..